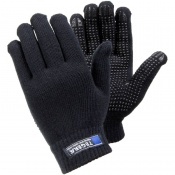 By utilising a special V-GRIP to offer enhanced grip and prevent materials from slipping, the high-grade and lightweight Flexitog V-GRIP Ergonomic Thermal Handling Gloves FG33 promise to excel in general handling applications that demand protection from the cold. 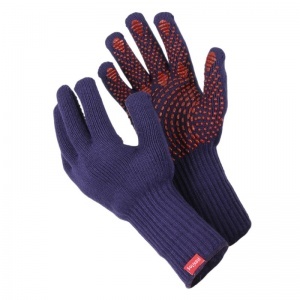 They use a hollowfibre yarn to stop the hands from becoming cold, while their wool lining and ergonomic design ensures that the fit is both comfortable and secure at all times. 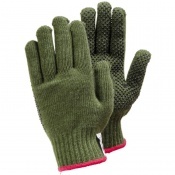 The Flexitog V-GRIP Ergonomic Gloves FG33 are highly lightweight and use a V-shaped pattern on the palm to offer high grip. When these features are combined, they ensure that the user has exceptional control when handling slippery and wet materials. 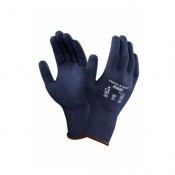 Their unique anti-slip patterns are supported by an ergonomic construction that means that the wearer has total sensitivity, ideal for working in higher-risk applications. The Flexitog V-GRIP Gloves are available in one size that should be suitable for most uses due to the flexible nature of the design. To find your perfect pair, please measure the circumference of your palm and match the results to the table below.